Sweet Dream Strips - All you have to do is let one melt on your tongue. The strips start absorbing immediately so naturally, you'll fall asleep faster, typically in about five minutes. 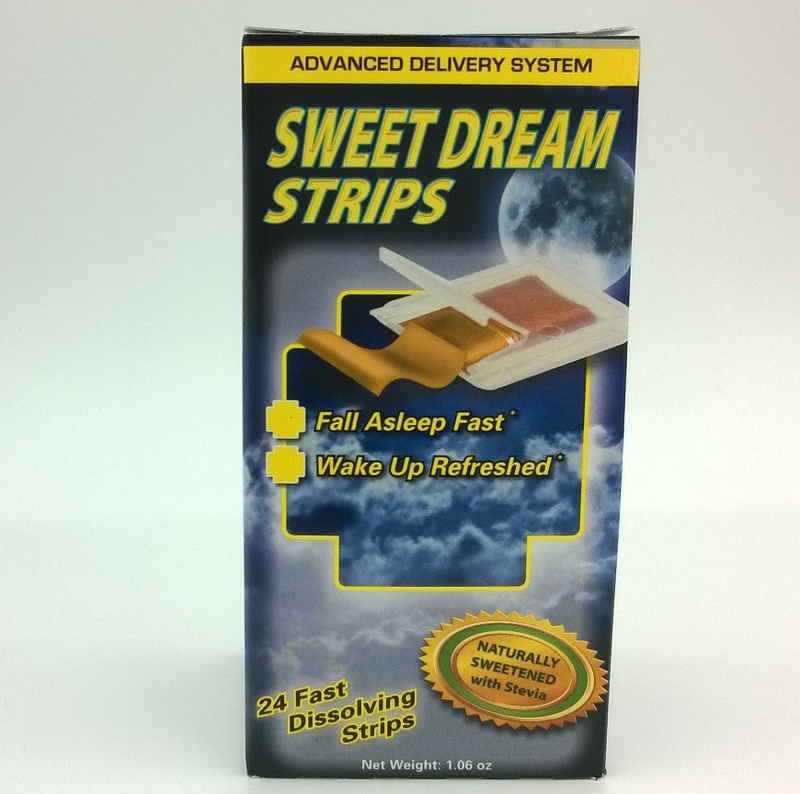 Sweet Dream Strips are specially formulated with three active ingredients. The first is Piper Methysticum, which is for relaxation. Then we use Huperzine A for mental clarity and focus, for the individuals who have "Restless Mind Syndrome". We also use Melatonin to kick in that natural sleep hormone. 24 fast dissolving strips.